The month of March has a reputation for charging in all guns blazing then leaving gently, closing the door behind it… so our new set menu is ready for all eventualities (11.95 for two courses*). Full of seasonal goodies we have rich, unctuous dishes for dark, dreary days and lighter options for when Spring is in the air. We have total comfort food in our Leek & potato soup or a fresh tasting celeriac salad with poached egg. 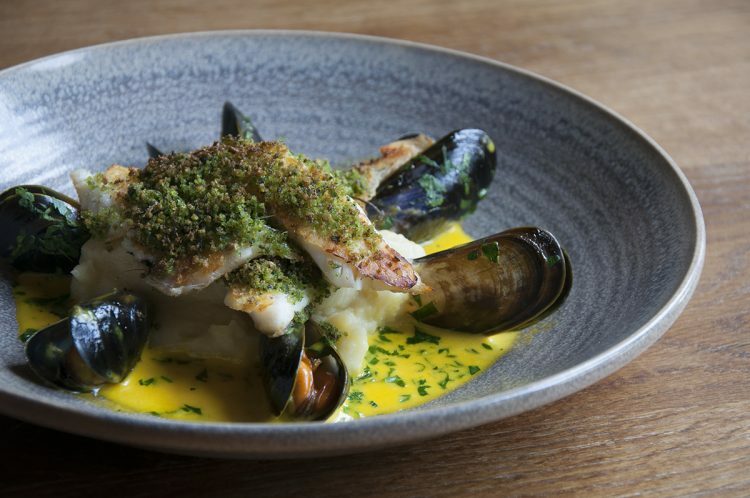 There’s a warming slow-cooked beef Lyonnaise with parsnip purée or a lighter herb crusted cod fillet with mussel & saffron sauce. Desserts are equally diverse – in like a lion comes a hearty steamed chocolate sponge pudding with ice cream and skipping out like a lamb is the full-flavoured blood orange posset – both absolutely perfect depending on how the mood takes you. We look forward to seeing you in March – whatever the weather. *Times, prices and availability vary at different brasseries. In Beaconsfield the menu is only available Monday to Friday until 5.00pm and currently Threadneedle Street do not offer this menu. Please check the webpage of your favourite location for further details & times.